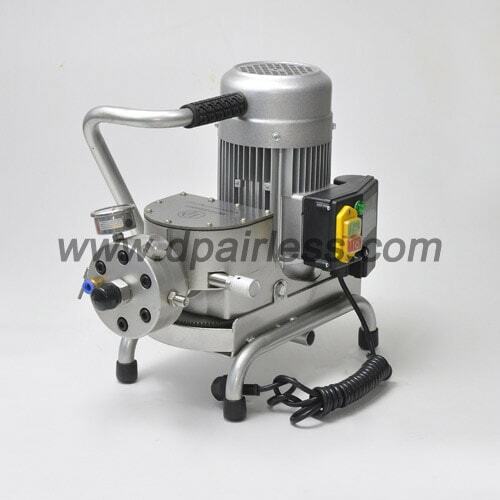 DP6382 paint sprayer equipment Dali model type is suitable for most kinds of colorant, varnish, lacker, Medium to high viscosity latex paint, emulsion coating etc. For Medium to big area indoor / outdoor wall painting, decoration, construction, anticorrosive project etc. * DP6382 airless paint sprayer is a copy of DALI model. 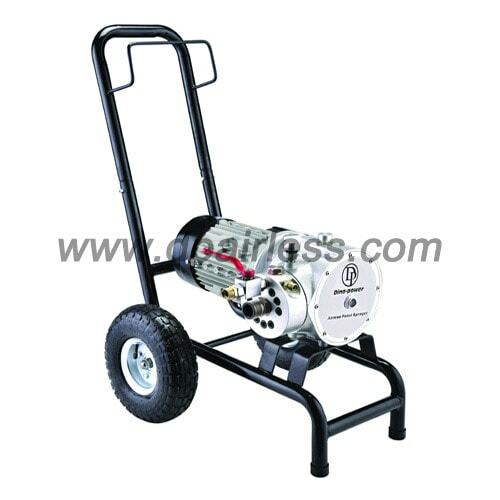 * Equipped with 1.5hp 1.1kw induction motor, hydraulic-oil diaphragm pump, high-pressure spray gun with in-line spray gun filter, replaceable spray tip in full size, 15M high pressure hose, lubricating oil, wrench set, and other easily-broken spare parts for repairing.